Jinming Presents 1st 11-layer High-barrier Functional Cast Film Line in Asia Pacific - China - Jinming Machinery (Guangdong) Co., Ltd. In 2003, the first cast film line was born. 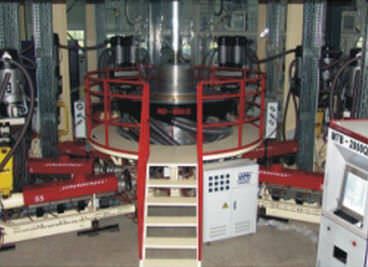 In 2012, the first aluminized film CPP cast line was launched. In 2013, China's widest (5,500mm) cast film equipment was developed. 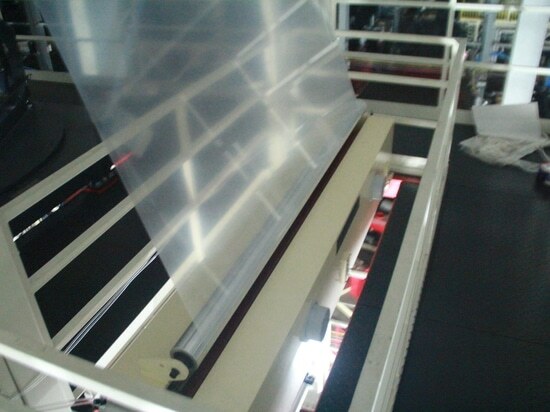 In 2014, the first 11-layer co-extruded high-barrier cast film equipment was launched. On December 13, 2014, in collaboration with the Cast Film Professional Committee of the China Plastics Processing Industry Association, Guangdong Jinming Machinery Co., Ltd. (Jinming) held the "2014 Seminar on Cast Film Market and Technology Development" at Golden Gulf Hotel, Shantou. The Seminar attracted numerous customers in the film industry and climaxed at one time. 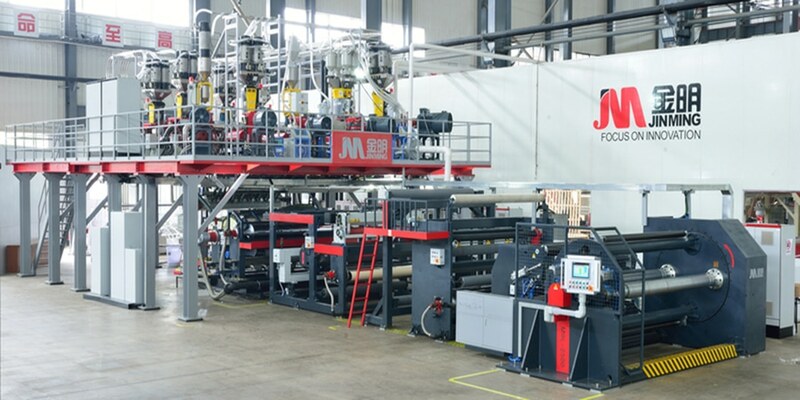 At the opening ceremony, Ma Zhenxin, chairman of Jinming, said that the company will increase investment in optical film extrusion in the next five years in alignment with market development. 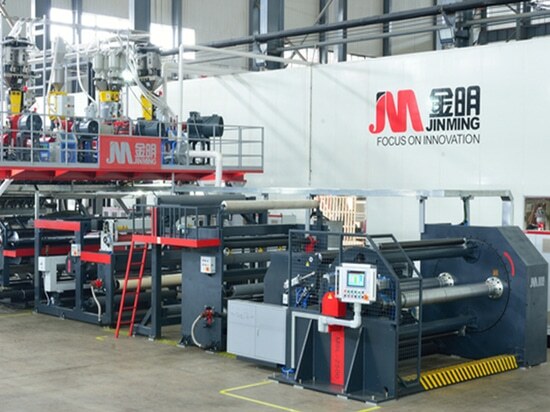 Jinming has initiated a couple of R&D projects with broad market prospects, including biaxially oriented film lines (optical film, window film, special protective film), special high-speed coating lines, TetraPak packaging lines, 11-layer co-extruded blown film lines, PVDC packaging lines and five-layer co-extruded PO agricultural film lines. In terms of technical reserves and development achievements, some projects are ready for trial-production. At the Seminar, Jinming's technical manager Wang Quan introduced Jinming's technical innovation in cast film equipment, including its latest 11-layer co-extruded high-barrier cast film line. With superior processing performance, strong adaptability (using PE, PP, PA, adhesives and EVOH of different grades based on customer needs) and high output, the line represents the most advanced cast film manufacturing technology in the world, and materials such as PE, PP, Nylon 6 and EVOH are applicable to the line. Wang explained that the innovative equipment was successfully developed on the basis of Jinming's design concept of cast film equipment. The concept can be summarized as emphasizing process control to improve product quality; maximizing unit output, reducing energy consumption and increasing comprehensive benefit; increasing the degree of automation, reducing labors and skill requirements; improving working environment and reducing pollution; and reducing labor intensity. Besides, a strong processing and manufacturing capacity is also the key to Jinming's innovation. Jinming owns over 100 units (sets) of advanced precision processing equipment, including DMG super large 5-axis precision processing center, NILES CNC precision gear grinding machine and HASS 4-axis precision processing center, which have constituted a modern computer-controlled precision processing equipment group. They have ensured the high precision and high reliability of parts processing, and achieved the high specialization of plastic machines. Jinming's strong processing and manufacturing capacity is also reflected in the modern machinery assembly workshop with an installation height of 35 meters and the largest electrostatic spraying line in the domestic industry. Following the Seminar, all attendees were shown the latest 11-layer high barrier cast film line at the Jinming Technology Center (the first experiment center of its kind in the Asia Pacific region), where they witnessed the high performance and productivity of Jinming's new equipment and its strong processing and manufacturing capacity and learned about the Technology Center's functions. 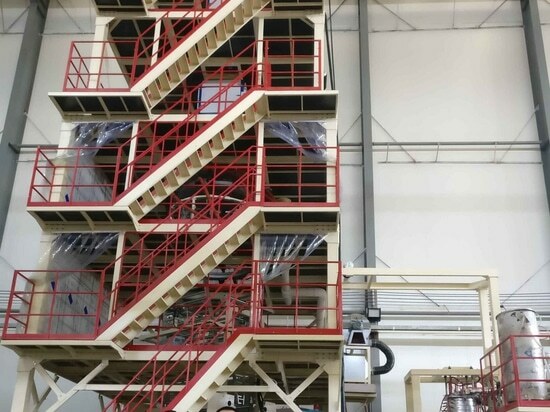 According to the presentation, the Technology Center can provide customers with test services for some of Jinming's equipment lines, including 3-layer, 5-layer and 7-layer co-extruded downward blown film equipment, 5-layer co-extruded upward blown film equipment(wide/narrow type). The completion of the Center's Phase 1 project and its debut surprised numerous customers. Many customers said the Center will make a good test and technical exchange platform for them in the future. They also expected Jinming to achieve a new technical leap in film production via the platform. Based on nearly 30 years' experience in co-extrusion and through constant innovation, Jinming has rapidly moved to the forefront of the casting market and successively launched new cast film lines in recent years. In 2003, Jinming's first cast film line was born. 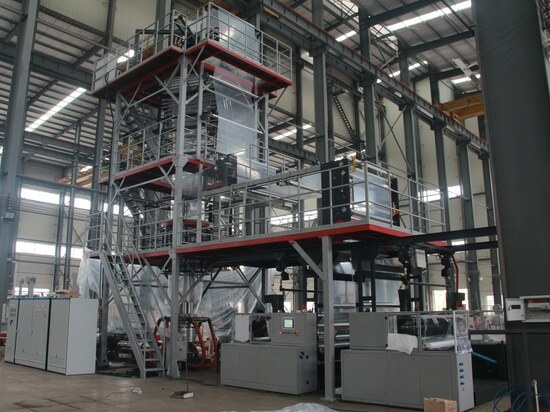 In 2012, Jinming launched the first aluminized film CPP cast line, symbolizing that its cast film equipment entered the domestic high-end cast film equipment market. 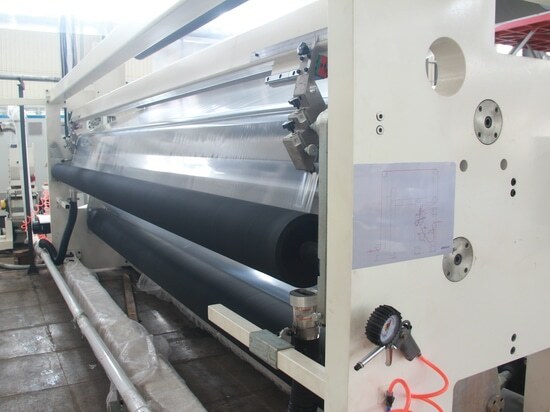 In 2013, Jinming developed China's widest (5,500mm) cast film equipment with the goal of manufacturing wider and higher-output functional cast films. In 2014, Jinming announced the launch of the first unit of 11-layer co-extruded high-barrier cast film equipment at this Seminar. Three years' unremitting efforts and constant technical innovation have solidified Jinming's leading position in the cast equipment field.